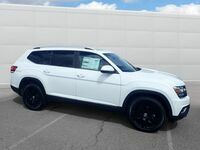 The 2018 Volkswagen Atlas is one of the newest additions here at Dirito Brother's Volkswagen in Walnut Creek, CA, and we couldn't be more excited about it. We know that you're going to love it just as much as we do, and that's why we've decided to create this comparison page for you. Figuring out which vehicle will perfectly fit your family's needs can be a very long process. We're here to make it easier by doing the comparisons for you! Today we're going to take a look at some of the differences between the 2018 Volkswagen Atlas, and the 2017 Fiat 500X. 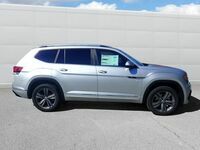 With its seven available exterior colors, the 2018 Volkswagen Atlas will reflect your personal style and exude luxury no matter which one you pick. 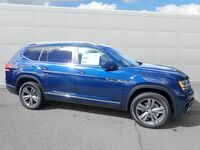 With a powerful, and muscular-looking body, the 2018 Atlas appears to be ready to take on any challenge the road sends its way, and, not surprisingly, it is! 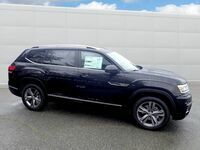 With off-road features such as traction control and 20-inch alloy wheels, your Atlas will be more than ready to take on any adventure whether it's planned or unexpected. 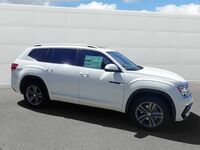 The 2018 Atlas also boasts a mind-blowing 96.8 cubic feet of storage space! You're surely going to need to buy more things just to make full use out of it. Let's take a quick look at how the 2018 Atlas stacks up against the 2017 500X. We're not trying to paint the 2017 Fiat 500X in a bad light here. It's an amazing vehicle in its own right, and it was a fantastic competitor. There were just a few areas where it wasn't able to keep up with the 2018 Atlas. With seating for seven, the Atlas allows for more friends and family members to hitch along for a ride to the beach, or up to the cabin. No more tying down your youngest child to the roof because you don't have enough room. You'll also save on gas because you won't have to take separate vehicles in order to fit those few extra people. And with the impressive amount of legroom the Atlas offers, you won't hear anybody complaining about not being able to ride shotgun. 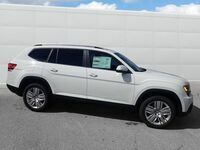 If you've decided that the 2018 Volkswagen Atlas is the car for you, that's great! 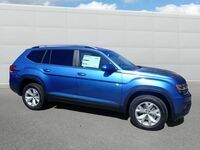 You can schedule a test drive with the Atlas, or any of our Volkswagen models from right here on our website! While you're here, you can also learn a bit more about the standard and available features on the 2018 Atlas on our research page, and you can check it out on our blog! 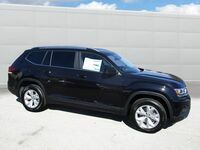 If you still have questions about the Atlas or any Volkswagen vehicle, don't be afraid to reach out and ask us. One of our knowledgeable and friendly team members will always be more than happy to help you out, and get you the answers that you want.